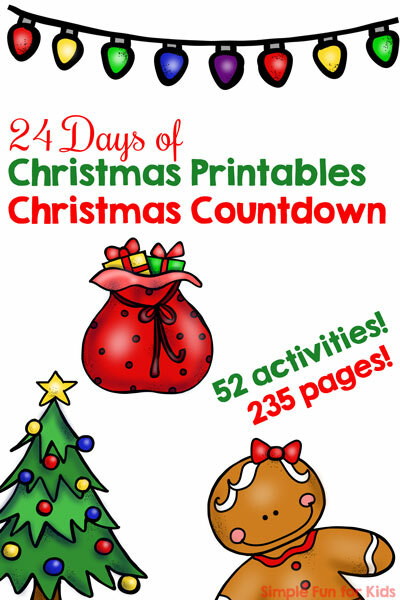 We’re on the homestretch to Christmas, and today is day 18 of the 24 Days of Christmas Printables for Toddlers! Yesterday for day 17, I shared a cute Christmas Ornament Matching Game, and today, I have Christmas Birds Pre-Writing Lines for Toddlers for you. The lines are extra wide and straight to make them easier to trace for little hands. Pre-writing lines help improve hand and finger strength, hand-eye coordination, pencil grasp, and more, hitting many important areas of development that help your child when it comes time for handwriting letters in a couple of years. The printable pdf file contains a page of instructions and six pages of pre-writing lines for toddlers. There are two pages of four horizontal lines each, two pages of four lines each that start at a higher level than they end, and two pages of four lines each that end at a higher level than they start. Each line connects a cute Christmas bird that’s dressed for the cold with a decked out Christmas tree. 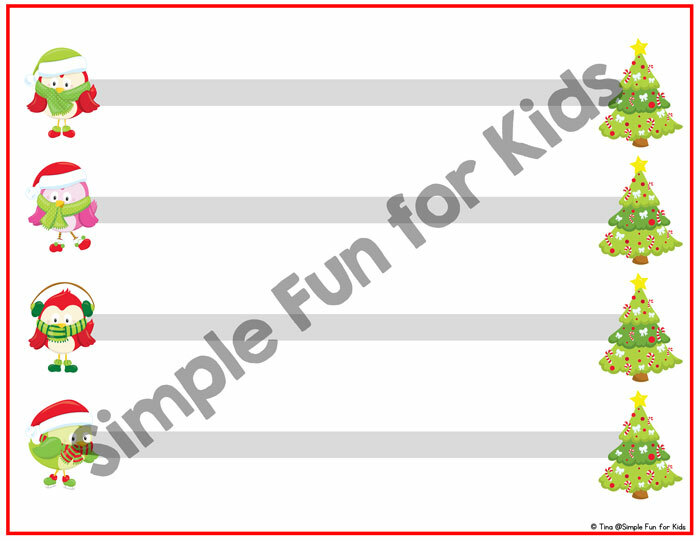 Print the page(s) you want to use, laminate for reusability if you’d like (or just use as a no-prep printable), provide a marker, and let your kids trace each line from left to right. As always, don’t forget to work on vocabulary and colors at the same time by chatting about the images. 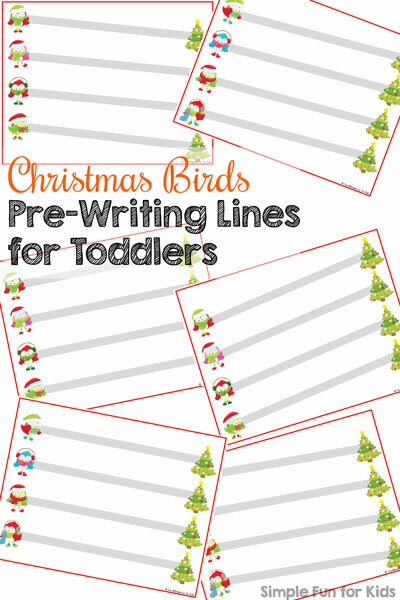 Download your Christmas Birds Pre-Writing Lines for Toddlers!